Dathlu'r Gymraeg is a network of people in Wales who celebrate the success of the Welsh language and call for action to ensure its future. 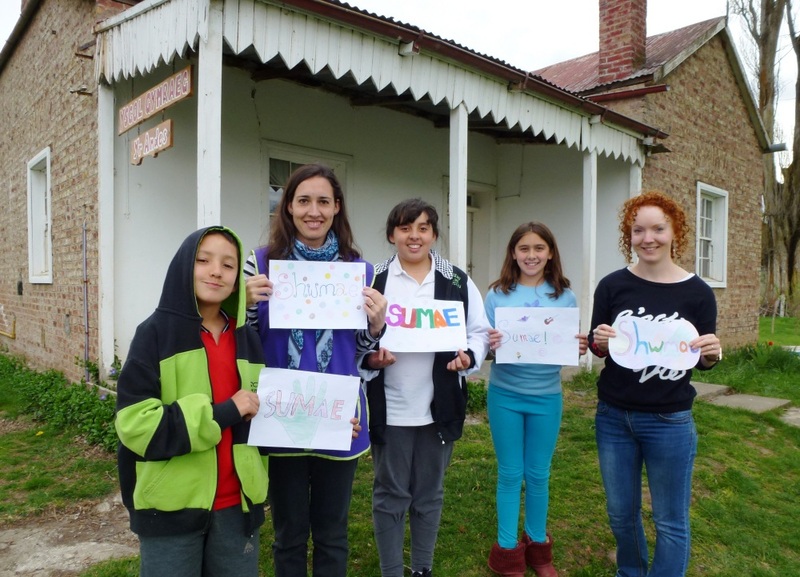 Shwmae Sumae Day now has a momentum of its own and is spreading throughout the country via a variety of activities organised by schools, individuals and societies, just like a Mexican wave at the World Cup. It is very difficult to keep a track on all that happened, but by keeping an eye on the feedback on our Facebook page and Twitter account I’m sure that there were over 500 events held in 2014. So lets hope that there will be even more this year. This entry was posted in Datganiadau, Newyddion and tagged Cymraeg, Diwrnod Shwmae Sumae 2015, Rho gynnig arni!' Siarad Cymraeg' Dechrau pob sgwrs yn Gymraeg, Shwmae on Thursday September 3rd, 2015 by Golygydd. OVER twenty language organizations have written to the head of Aberystwyth University stressing the value and importance of Welsh language halls of residences as powerhouses to strengthen the Welsh language in communities across Wales, following the recent threats to Pantycelyn hall. In light of the recent campaign to safeguard Pantycelyn Hall, the organizations which are members of the umbrella group Dathlu’r Gymraeg, have declared their support for the campaign and also call upon Welsh universities to ensure that the language needs and well-being of students are taken into account when making accommodation and residence arrangements for them. Sociolinguistic research by leading language experts’ shows that communities where over 70% of the population speak the language is vitally important in order to maintain it as a normal community language. Welsh medium halls of residence such as Pantycelyn, therefore, are crucial in developing and supporting students’ language patterns. “We call on organizations such as Aberystwyth University for a clear commitment to the basic principle of providing adequate Welsh language accommodation for students and recognize the need for such locations to include suitable common spaces that allows Welsh-medium social life to thrive. Therefore, we beg you not to close Pantycelyn Hall. “Pantycelyn hall has come to claim an iconic status in Welsh public life and therefore its important should be respected and the potential of such sites harnessed to ensure that students from all parts of Wales are able to live their lives through the medium of Welsh in future. In fact, we need more locations of this kind, if the Welsh language is to flourish in the coming decades. “We think that Aberystwyth University should unequivocally declare their commitment to maintain this vital Welsh hall of residence and ensure that all decisions on these issues will consider the language needs of their students fully. This entry was posted in Newyddion on Thursday June 18th, 2015 by Golygydd. 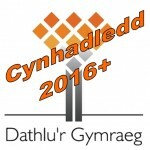 Dathlu’r Gymraeg is organsing the Welsh Language Manifesto and Vision Conference 2016+ in the Urdd Centre, Cardiff Bay, on Tuesday, 16 June. The aim of the Conference is to prepare a Maniffesto and Vision for the future of the Welsh language 2016+ which will include proposals to promote the language and secure its future in our communities. The conference is open to everyone who is interested in contributing and proposing ideas for developing the Welsh language over the next five years. This entry was posted in Newyddion on Saturday May 2nd, 2015 by Golygydd. Over a dozen individuals and organisations have urged the Education Minister to ensure any changes in the curriculum ensure that every child leaves school fluent in Welsh in an open letter released today (Monday, 23rd February). The plea comes ahead of the publication of Professor Graham Donaldson’s review of the curriculum due to be published later this week. Among the signatories of the letter are Wales’ Archdruid Christine James, who has learnt Welsh herself, along with the heads of a number of organisations including the Mudiad Meithrin, Merched y Wawr, Mentrau Iaith Cymru and teachers’ union UCAC. Referring to the new curriculum, the letter states: “We agree [with the government] that it needs to be founded on Welsh values, values of fairness and equality for every child – from whatever background they come. As organisations and people who promote the Welsh language day to day, we look forward to seeing how the report intends to deliver the First Minister’s ambition, as outlined by him in August last year namely the need for ‘all learners in Wales – whether they attend Welsh-medium or English-medium schools … to speak Welsh confidently’. “We agree with Carwyn Jones that every child should be fluent in Welsh – it’s not fair to deprive a single child of the skill of being able to communicate in the language. We are extremely grateful that Professor Donaldson has already suggested that the Welsh language will be one of the founding principles in his recommendations for the new curriculum. We write to state our support for your aspirations for Graham Donaldson’s review of the curriculum. We agree that it needs to be founded on Welsh values, values of fairness and equality for every child – from whatever background they come. 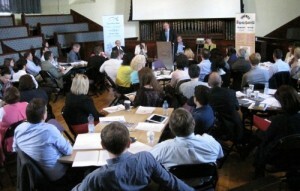 As organisations and people who promote the Welsh language day to day, we look forward to seeing how the report intends to deliver on the First Minister’s ambition, as outlined by him in August last year, namely the need for “all learners in Wales – whether they attend Welsh-medium or English-medium schools … to speak Welsh confidently”. We agree with Carwyn Jones that every child should be fluent in Welsh – it’s not fair to deprive a single child of the skill of being able to communicate in the language. We are extremely grateful that Professor Donaldson has already suggested that the Welsh language will be one of the founding principles in his recommendations for the new curriculum. While believing that we should not deprive any child of Welsh-medium education, we are completely supportive of Professor Sioned Davies’ recommendations regarding how the language is taught in English-medium schools at the moment. We look forward to seeing how Graham Donaldson recommends implementing those proposals as soon as possible. We hope there will be a chance, during the series of meetings the Government intends to hold after the publication of Professor Donaldson’s report, to discuss specifically with you and Professor Donaldson the implications of the recommendations. Certainly, we need to work together in order to plan for the growth in the number of Welsh speakers and the use of the language in our communities we all want to see over the years to come. This entry was posted in Newyddion on Monday February 23rd, 2015 by Golygydd. Dathlu’r Gymraeg calls on the Welsh Assembly to strengthen the Planning Bill, published by the Welsh Government to ensure that adequate consideration is given to the impact of planning on the Welsh language in our communities. The bill presented to the Assembly on 6 October 2014 does not change the status of the Welsh language within the planning system. There is only one note – to ensure that the new “strategic planning panel” complies with the new Welsh language standards. 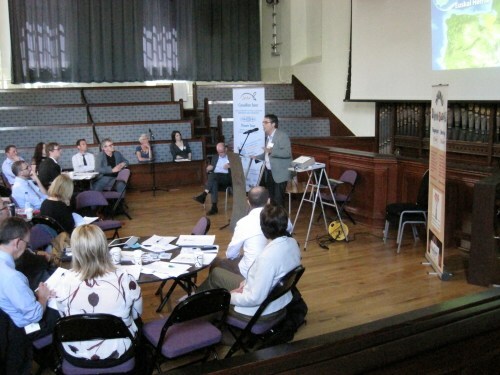 The summary of the deliberations of the Conference Onn Welsh Language issued in July 2013 called for changes to the planning system and stated that population movement is the ‘greatest current challenge’ to the language. 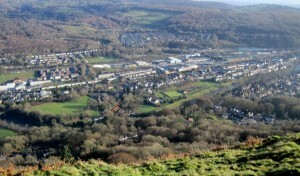 The 2011 Census showed a decrease in the number of electoral divisions where over 70% of the population speak Welsh: with a reduction from 54 communities in 2001 to 39 in 2011. There was a fall in the number of people in Wales aged over 3 speaking Welsh, from 20.76% of the population in 2001 to 19% in 2011. In August 2014 the Prime Minister announced a policy document “Bwrw Mlaen” where he promised to consider “all practical measures for strengthening the Welsh language within the planning system “. The Welsh Language Commissioner sentwritten advice to the Government on the Bill stating that only half of the Welsh county councils have included Welsh language policies in their local development plans. 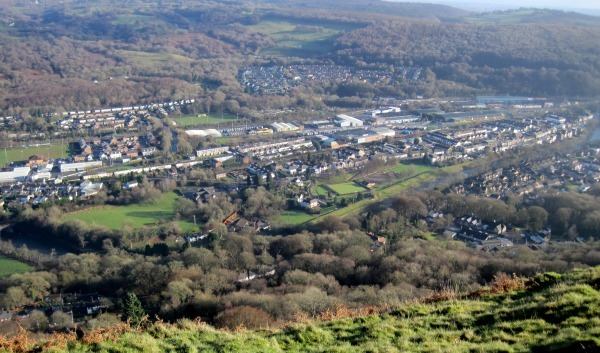 The national housing targets will create problems for the Welsh language and dissatisfaction in many communities such as in Bodelwyddan, Carmarthenshire and Gwynedd. Housing targets need to be removed and replaced by a system based on local needs only. We call on the Government and the Assembly to include full consideration of the Welsh language in the Planning Bill. This entry was posted in Newyddion on Wednesday November 5th, 2014 by Golygydd. Shwmae Su’mae 2014 (#DSS2014) was launched in the Eisteddfod in August and we are confident that more will join in the celebration this year on 15th October. 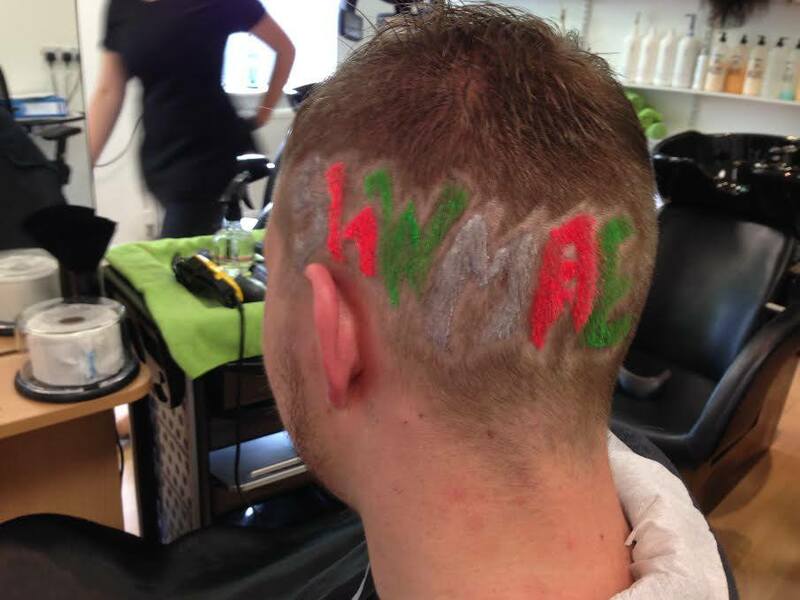 There was an overwhelming response to the first Diwrnod Shwmae Sumae Day in 2013. Up to a 150 activities took place from the Andes to Ysgol Brynmawr. Schools, businesses, Welsh learner groups and various societies took the day to heart, infusing the events with boundless energy. There were rapping workshops in Ceredigion, flashmobs in Crymych and coffee mornings from Creigiau to Dyffryn Nantlle. Things are simmering away nicely for this year’s celebrations with an awards ceremony in Pembrokeshire to recognise the achievements of those who have contributed most to the Welsh language in the county. Whilst at Archbishop McGrath High School, Brackla the pupils are already brimming with ideas for October 15th. It is a grassroots campaign that operates without any sponsorship showing that the Welsh language belongs to everyone. Catrin Dafydd, of Dathlu’r Gymraeg said: “Last year was an inspiration and has had a positive knock on effect. As a result of one coffee morning the parents in a school decided to hold Welsh classes to encourage each other to learn the language. “Dathlu’r Gymraeg hopes that communities across Wales will take ownership of day once again. Some Welsh Adult Learning Centres are already busy organizing events for the day. 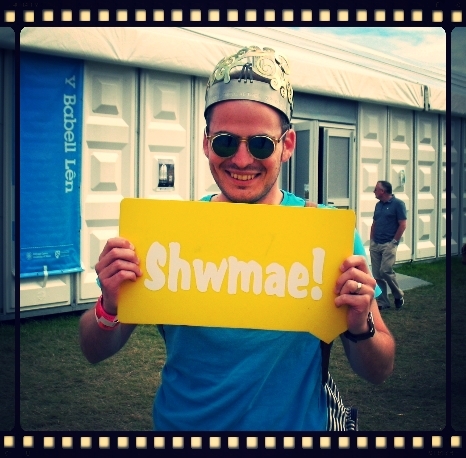 Shwmae Sumae Day is a day when everyone is encouraged to have confidence in speaking Welsh. This entry was posted in Newyddion on Monday September 15th, 2014 by Golygydd. 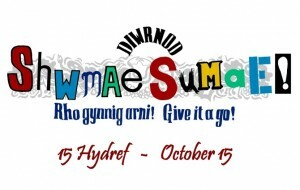 Monday August 4th will see the launch of Diwrnod Shwmae Sumae Day 2014 in the Maes D pod at the National Eisteddfod which his being held in Llanelli,Carmarthenshire. The umbrella group Dathlu’r Gymraeg will launch the campaign in to celebrate the second Shwmae Sumae Day (DSS2014) which once again will take place on October 15th. The launch will also introduce this year’s language ambassadors who will include Martyn Croydon, 2013 Learner of the Year, renowned bard and brewer, Myrddin ap Dafydd, S4C presenter Angharad Mair and the author Bethan Gwanas with many more to be confirmed during the campaign. This entry was posted in Datganiadau, Newyddion on Wednesday July 30th, 2014 by Golygydd. DATHLU’R GYMRAEG, an umbrella group of Welsh language organisations, has criticised a Welsh Government White Paper to reform the support for children and young people with Additional Learning Needs. Penri Williams, Chairman of Dathlu’r Gymraeg stated “Although the proposals are generally sensible, the White Paper is totally lacking in relation to that of language needs. Except for one brief reference to the Government’s Welsh-medium Education Strategy, no other reference is made to the Welsh language in the document. “Additional Learning Needs is an area where we know from experience that families have difficulties in accessing Welsh language provision. Reform of current legislation offers a golden opportunity to ensure better provision – and for the right to receive services in Welsh. But the Welsh Government has failed to take advantage of this opportunity, or even acknowledge the existing barriers and current demand. This entry was posted in Newyddion on Thursday July 24th, 2014 by Golygydd. A very sucesful conference was held in Merthyr to dicusss investing in the Welsh language on 21 May. Leaders of three of the political parties in the Assembly – Kirsty Williams, Leanne Wood and Andrew RT Davies as well as Keith Davies from the Labour Party. Their speeches were very supportive of the Welsh language and we hope that the Assembly and the Government will act soon in response to the results of the Census. Also there were interesting addresses by many speakers including Paul Bilbao from the Basque country. Summaries of the addresses are available below. This entry was posted in Newyddion on Friday May 23rd, 2014 by Golygydd. Language experts and politicians will converge on Merthyr Tydfil this Wednesday to discuss fairer funding for the Welsh language. Paul Bilbao, a campaigner for the Basque language will be addressing the conference along with Kirsty Williams, the leader of the Welsh Liberal Democrats, Leanne Wood, leader of Plaid Cymru and Andrew RT Davies, the leader of the Welsh Conservatives. The afternoon session will include presentations by Sian Lewis of Menter Iaith Caerdydd and Dai Bryer of Urdd Gobaith Cymru who will discuss the youth sector. Cllr Cefin Campbell of Carmarthenshire County Council will be reporting on his recent findings on the state of the Welsh language in the county and Rhian Huws Williams, Chief Executive of the Care Council for Wales will also highlight the care sector . The day’s proceedings will be chaired by the veteran BBC broadcaster, Vaughan Roderick. “We have put together a discussion paper targeting extra investment for the Welsh language and have presented it to all the political parties in the Senedd. We have researched the matter thoroughly and we hope that the conference will build on that consensus. Paul Bilbao represents Kontseilua Paul Bilbao is the Secretary General of Kontseilua, The Council of Social Bodies in favour of the Basque Language which was established by 45 associations 10 years ago. Their aim is to work in favour of the Basque language, promoting, developing and normalising the language as one body. “A minoritised language is not recovered through resources alone. An integrated language policy is needed, including both the implementation of adequate regulations and detailed planning. 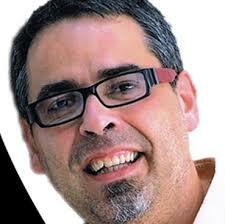 “How much is spent is not the only issue; what the money is spent on is even more important. When stipulating language policies and the allotment of resources, it is important to focus on two main areas: people and spaces. “Policies must target people’s knowledge of the minority language, and secondly the spaces in which it is possible to use the language that one has learnt, in order to live though that language and use the language. The Basque-language organisation, Kontseilua, which Paul Bilbao represents has made a demand with regard to the Basque Autonomous region’s general budget, highlighting that a minimum of 2% of the general budget should be allotted to language recovery. This entry was posted in Datganiadau, Digwyddiadau, Newyddion on Tuesday May 20th, 2014 by Golygydd.